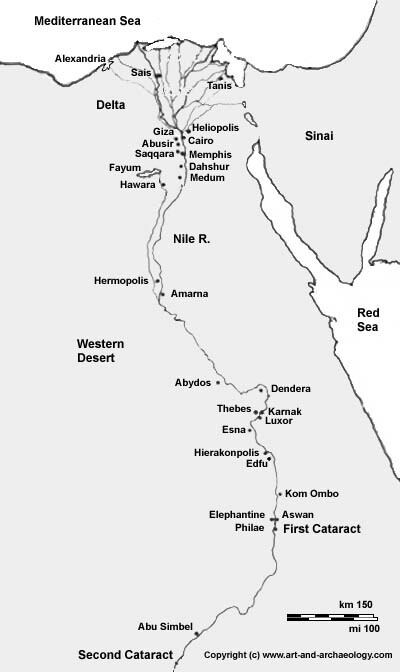 Luxor is located on the East Bank of the Nile (map), across from the Valley of the Kings and just upstream (south) of Karnak. The temple is dedicated to Amun. Once yearly, a festival was held at Luxor, in which the cult statue of Amun of Karnak was carried in procession to visit his Luxor counterpart. The inner parts of the temple were built mostly by Amenhotep III, the father of Akhenaten. 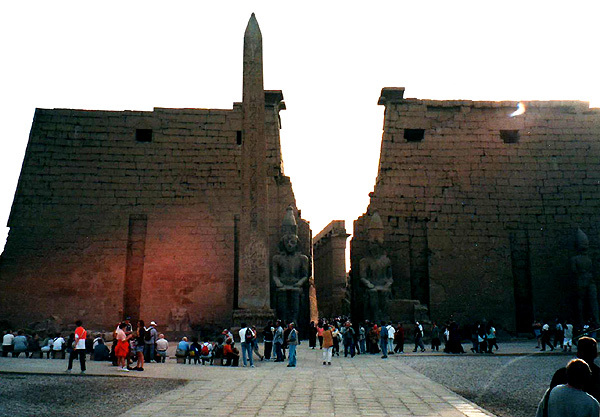 Ramesses II built the outer court and pylon. The Great Pylon faces northeast (plan), shaded by the afternoon sun in this photo.